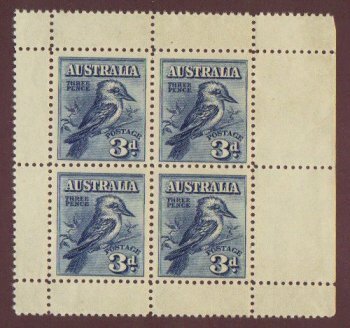 Australia #95a mint never hinged sheet of 4 kookaburras. 2007 catalog value $190. 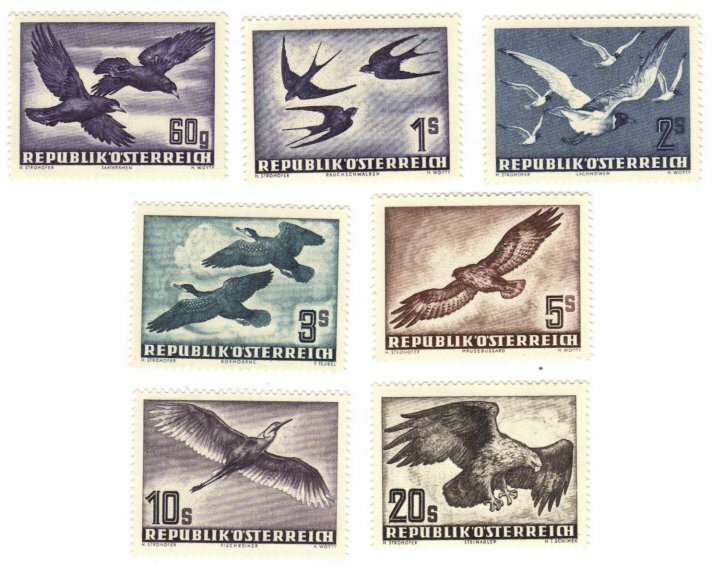 Austria #C54-60, classic airmails - birds. Mint never hinged. 2007 catalog value $357.00.